Since 2007, I sit on the board of dmff. The following guest post is written by Juan Almeida, founder of dmff. You can follow him on Twitter @jac2769. It is an inspiring story about entrepreneurship and persistence. This “social enterprise” has developed a nutrient rich snack brand that has the potential to contribute to economic development in the Andean region and to fixing the global malnutrition problem. Our global society faces many problems; one of them – malnutrition – is something that everyone can relate to whether the output is undernourishment or obesity. The World Health Organization predicts that obesity related diseases — diabetes, heart ailments, strokes, kidney failure — are rising fast across the world, and they will be the leading causes of death in all countries, even the poorest, within a couple of years. While finishing my studies in business, I got this idea in my mind and fire in my heart to be part of a solution; to work with my homeland resources in order to fix the malnutrition problem. I faced major obstacles in developing my food business: outdated paradigms, closed mindedness, corruption and lack of access to capital and markets. With every obstacle I became even more convinced that nutrition – and good nutrition – is relevant to everyone. 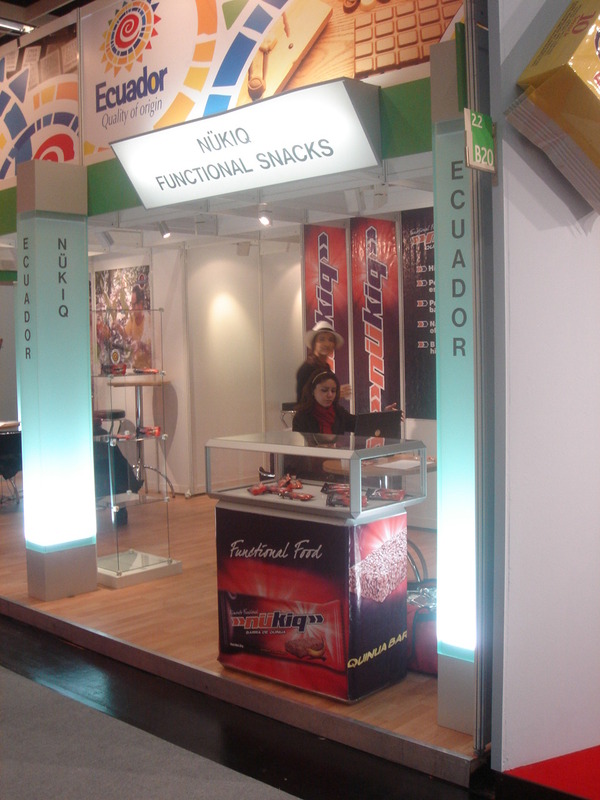 A couple of years ago, while in Cologne, Germany (photo) working on our entry strategy to developed markets, an “interested businessman” asked me how I would get funding to accomplish our company’s goals of “developing a highly nutritious, all natural, tasty quinoa bar brand while selling and distributing a snack that has 94% of the micronutrients and macronutrients required by kids ages 5 to 12.” I answered that the right funding will be there in the right moment once an investor recognizes that good nutrition is fundamental to a healthy lifestyle. Malnutrition continues to be a major problem and the “nutrients for all” community provides a mechanism to raise awareness and implement solutions relating to malnutrition and obesity. If you want to be part of our solution and increase the odds of changing the food system, I humbly ask you to contact us and together we will create a nutrient rich food brand that will bring the benefits of good nutrition to people who need it.